Teaching is one of the most respectable positions to be at and it requires a great knowledge on the subject. 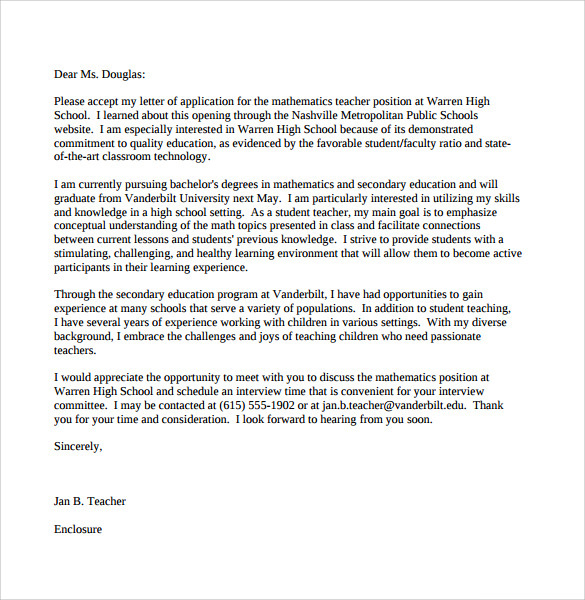 There are many subjects at which a teacher can be expert at and while applying for a teaching position it is important to clearly depict any experience or interests. 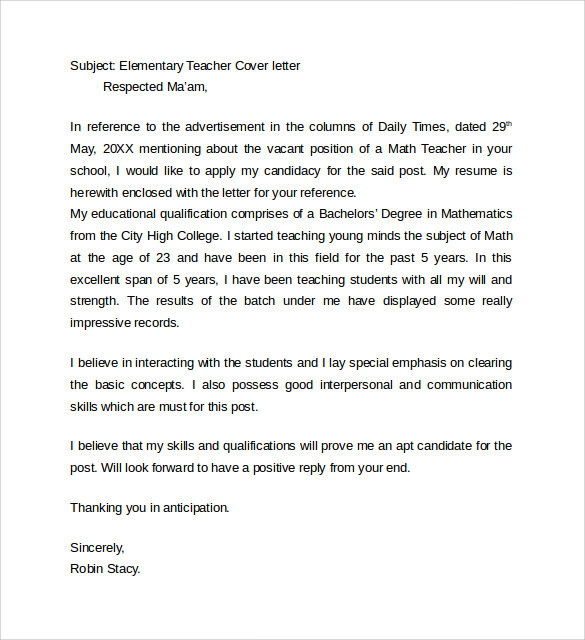 However, there is a great competition for teaching positions in highly rated schools or colleges. 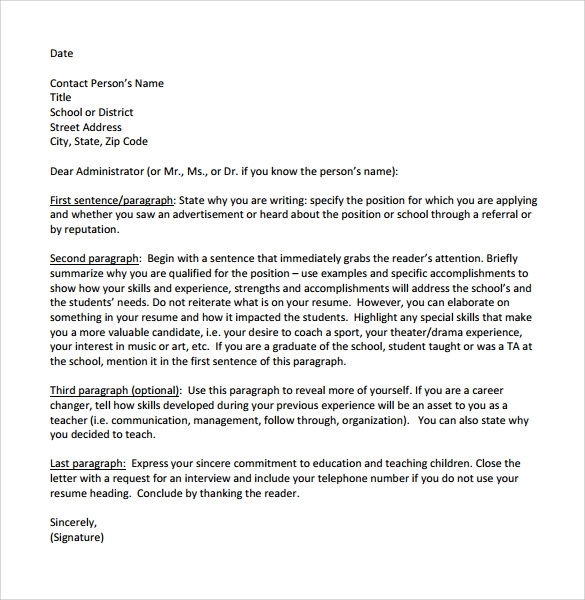 Therefore, a good resume should also go hand in hand with a cover letter. 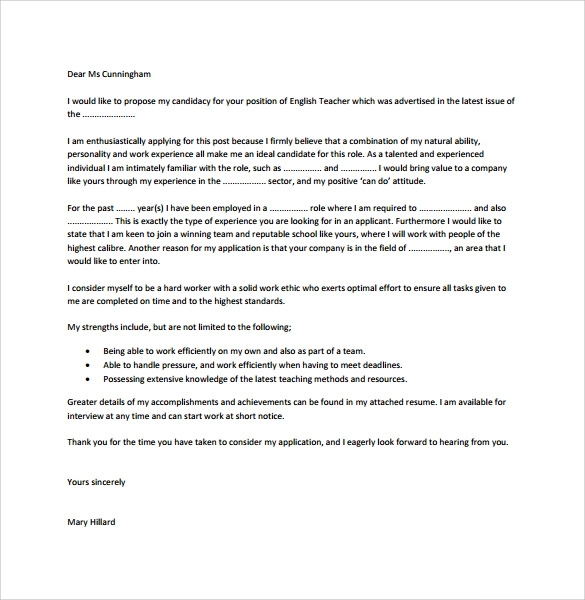 If you can see the teacher cover letter template , Job Cover Letter Templates from our collection, you can understand that they are helpful to depict the precise information so that the application can become a standout from the rest. By achieving this feat, the percentage for getting recruited will increase tremendously. 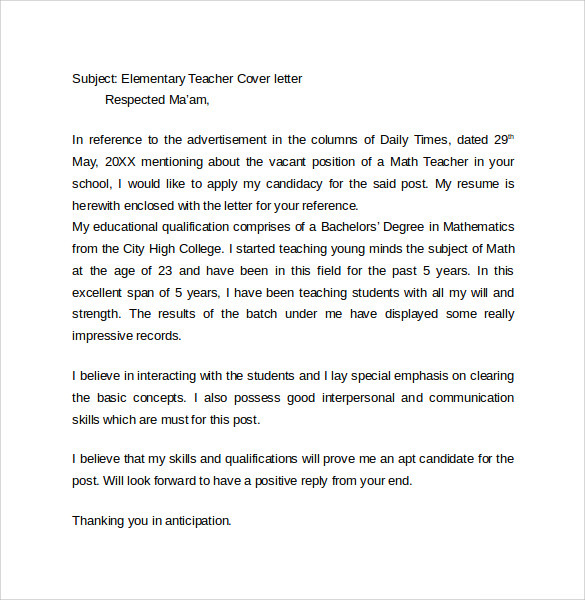 Our templates are easily downloadable in PDF, MS word or PSD formats and it is up to you to select the right teacher cover letter template that suits the need and the type of subject you are interested to teach in. While filling words in the template make sure to add any certifications you have acquired that specialize you in the art of teaching. 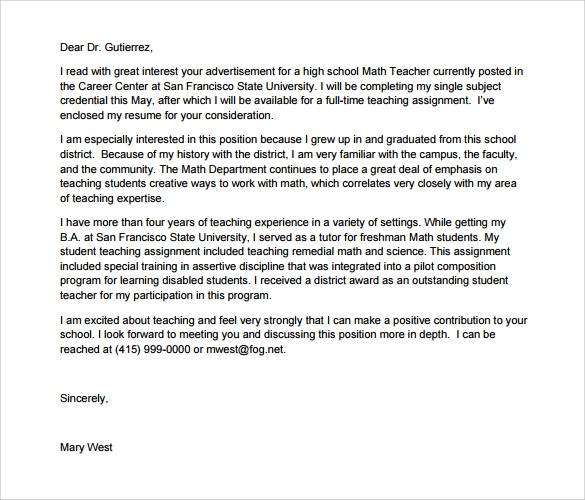 Do not forget to add any previous experiences as a teacher and the institute you have worked for. This would increase the chances of recruiting you. 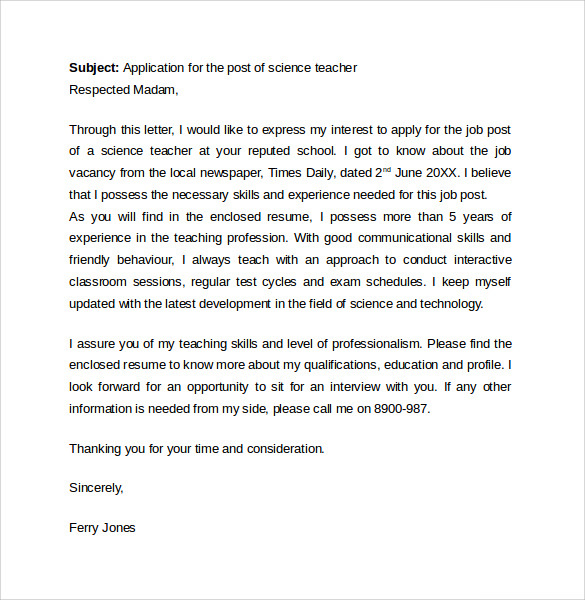 Further, as a teacher can be creative make sure to add some elements of creativity or if appropriate wit inherently so that your understanding of the field of teaching is enumerated to the person in-charge or recruiting.